It was a busy Sunday if you’re a Sabres fan. Andy Strickland kicked things off with speculation that connected Rasmus Ristolainen with the Tampa Bay Lightning but that was quickly squashed by Darren Dreger. 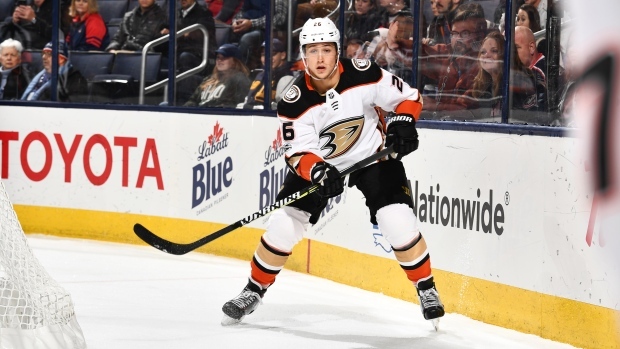 But Strickland’s Tweet got the Sabres fanbase frothing and it was only a few hours later that Jason Botterill pulled the trigger on his biggest trade since acquiring Jeff Skinner, sending a first-round pick and Brendan Guhle to the Anaheim Ducks for Brandon Montour. The Instigator Podcast 7.20 – Botterill Speaks, Now What? Jason Botterill held court with the press and gave his head coach a vote of confidence. He also reinforced his previous claims of the deals he’s looking to make ahead of the deadline. We air some frustrations with Botterill’s apparent approach and break down some of the recent deals to break, including Charlie Coyle to Boston and Jakub Silfverberg’s extension in Anaheim. We also offer up a few thoughts on Jeff Skinner, trying to cool off any concerns people may have regarding whether or not he’ll be signing an extension in Buffalo. The final weeks before the deadline always seem to drag. Probably because the same rumors keep getting recycled, debunked and then re-reported. This week’s edition as rumor-heavy as you might expect two weeks out from the deadline, but I suspect next week’s will be chock-full of rumors. Check out this week’s edition of 31 Thoughts here. One GM who could change the market over the next few days? Minnesota’s Paul Fenton. His team is still clinging to a playoff spot, but Mikko Koivu is out for the year. Ownership always pushes for the playoffs, but what do the Wild honestly think about their situation? The Wild are bobbing in and out of a wild card spot and they’ve spent the last number of seasons as a playoff club unable to get over the hump. Having to get through Chicago or Nashville or the Blues at the height of their powers certainly didn’t help.